Pay less for your energy. Today, solar power costs less than traditional power in New Jersey. You don’t even need to buy a solar panel system. We’ll put one on your home for free. You simply pay for the power at a lower price. 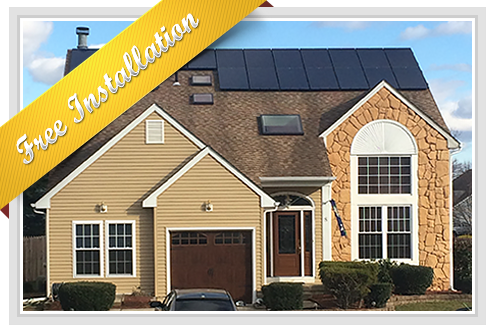 Our SunPower lease requires no money upfront and typical savings from day one are about 40%. Simply pay less for clean electricity that is produced on your roof! Our 24/7 solar system monitoring helps ensure your system is running smoothly. It will even alert us if problems arise. Solar power systems are very reliable, but we’ll take care of any repairs at no added cost if anything does happen. We'll cover the insurance, too. Protection means you can use your energy savings on what you want, not insurance. Customer care is second nature to us. It starts the moment we first meet and lasts long after the panels are up on the roof. only need a good roof, because solar panel installation is free. 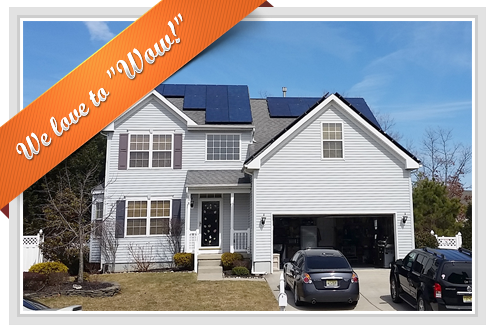 "Best company for solar in South Jersey hands down! If anyone is looking for information about solar make sure you call these guys first! They helped me save $1,200 in my first year of the program. Best part was I didn't have to come out of pocket for the system. They covered everything; Even the tree removal!" Copyrights 2013 - 2015 © Sun Up Zero Down LLC. All Rights Reserved.